Google’s Videos app, the official video player for Android Market movie rentals, has been updated to work on Android smartphones. Previously, the app was only supported on Android 3.0 (Honeycomb), the Android tablet operating system. The latest update is not compatible with all Android phones, however, only those running the two latest versions of Android for smartphones: Android 2.2 (Froyo) and Android 2.3 (Gingerbread). Once the app is installed on your Android phone, you will have access to both your own rentals from the Android Market as well as any personal videos stored on your phone. In my case, as I don’t currently have any rentals on my device, the “My Rentals” section included a list of “Top Rentals” instead. It appears that this app is designed to work with the updated version of the Android Market. When you’re in Google Videos, a tap on the small Market icon on the top right on the main screen automatically opens up the Movies section within the full Android Market app, assuming you have the newest version. This version has not made it to all Android phones as of yet, we hear. (For what it’s worth, I got the update via a standalone APK via the XDA Developers forum sometime ago. Another reason why I love Android!). If you don’t have the updated Market app yet, and you don’t want to dig around for a hacked APK file, you can just rent videos from the online version of the Android Market instead. As it did on tablets, the updated smartphone app lets you stream movies over Wi-Fi or “pin” them, which allows you download the movie to your handset for offline viewing. 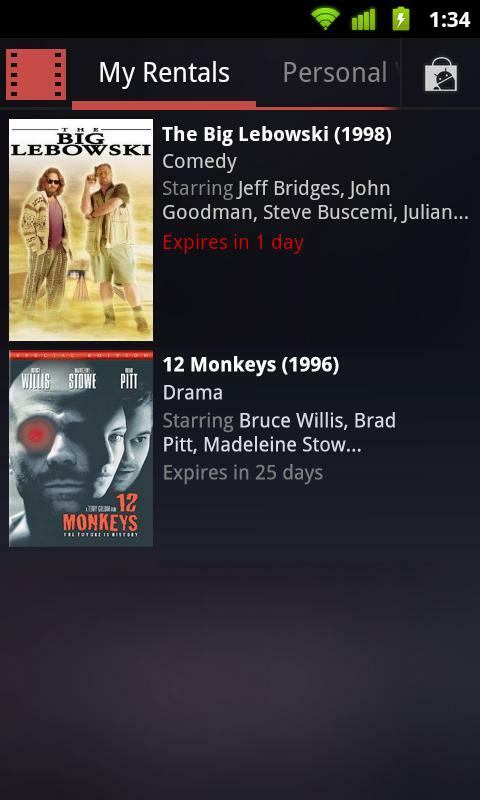 Movie rentals are good for 30 days, but once you start playing the rental, you only have 24 hours to finish it.